Boeing has projected the Middle East will require $ 745 billion in aviation services through 2037 to keep pace with growing passenger and freight traffic in the region. The figures have been released in a new report today at MRO Middle East in Dubai. The high value services market is largely driven by the demand for nearly 3,000 new commercial airplanes in the Middle East over the next twenty years, more than tripling the existing fleet. Boeing’s Services Market Outlook 2018-2037 – Middle East Perspective forecasts growing need for services that increase fleet productivity and reduce operating costs. The Middle East will drive more than eight per cent of global demand for aviation services, representing $ 745 billion, and growing at a projected 4.6 percent annually. “The Middle East is an unmatched location to connect the growing markets of Asia, Europe and Africa. 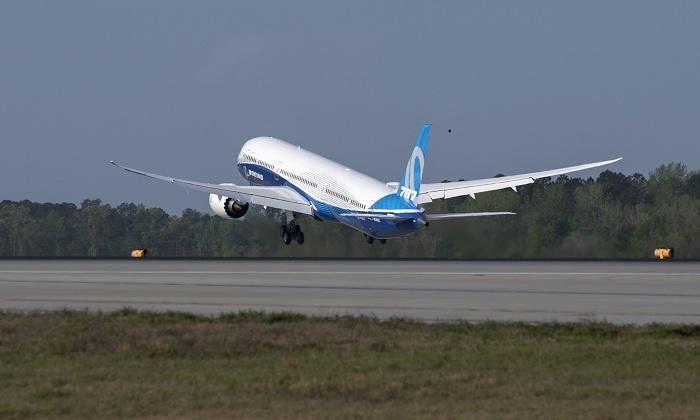 “This feeds the appetite in the region for new commercial airplanes and the services to operate and maintain those jets,” said Ihssane Mounir, senior vice president of commercial sales for Boeing.